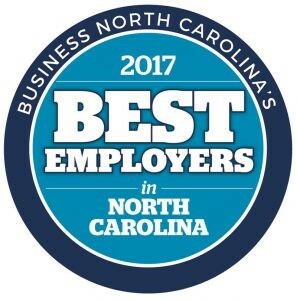 Johnson Price Sprinkle PA (JPS) was recently named one of 2017 Best Employers in North Carolina. Only eighteen small to medium sized companies (15-249 U.S. employees) were chosen based on workplace policies, practices, philosophy, systems, and demographics analyzed and determined by Best Companies Group. Of this group, JPS was ranked #7 in the state and the only Asheville-based company selected. 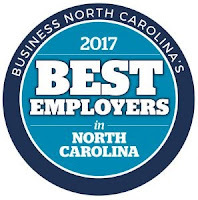 This is Johnson Price Sprinkle PA’s fourth consecutive year being named one of Best Employers in North Carolina. JPS is a regional accounting firm providing small to middle market businesses with tax, assurance and business consulting services. JPS has offices in Asheville, Boone and Marion. JPS Shareholder Rollin Groseclose was recently appointed Chair of North Carolina Association of Certified Public Accountants (NCACPA) Board of Directors.